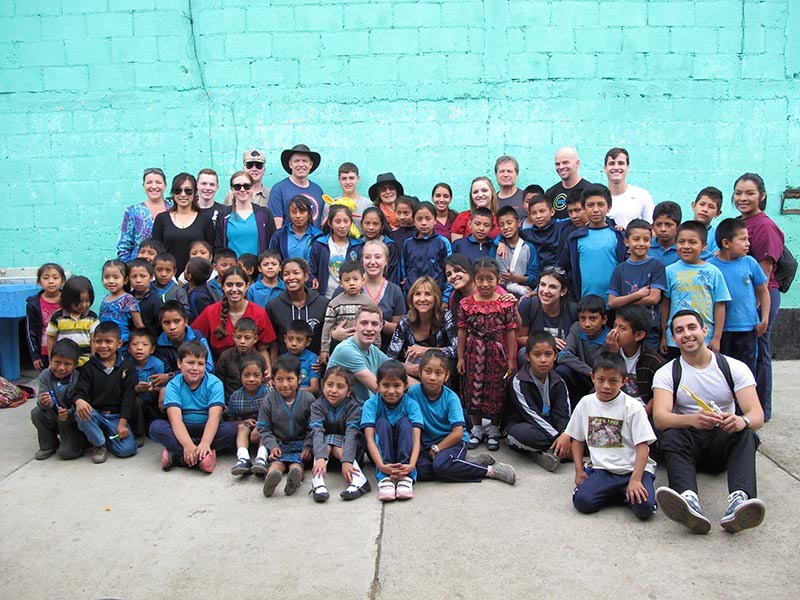 SmileTree has completed its 2016 work in Guatemala with three sponsored clinics held at Global Dental Relief’s long time location of San Martin and at a new location of Ciudad Vieja. Clinics served a total of 2,368 local children with dental care. 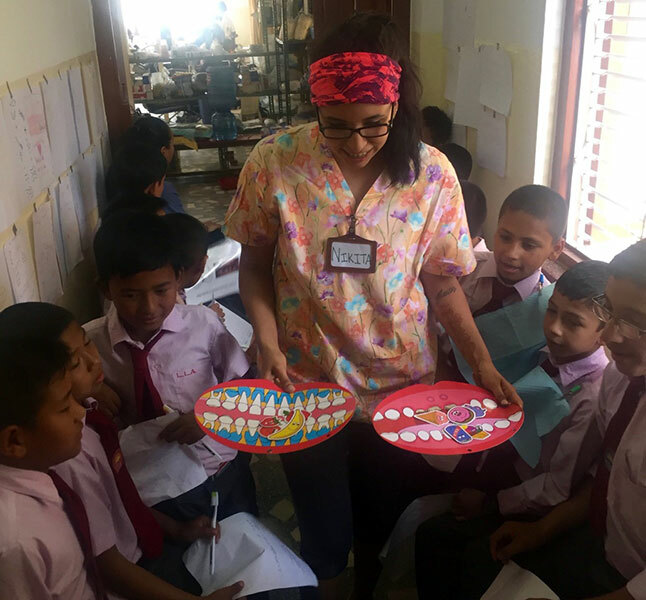 After 10 years of SmileTree sponsorship in Guatemala at the San Martin location, volunteers are seeing a critical difference in the oral health of many of the school children. While not the case in all schools, for many there is clear evidence of improved tooth brushing, less decay, and very few extractions. This July, volunteers noted this difference over and over again! In Guatemala, the three clinics provided 1404 restorations and 476 cleanings to children from local schools in the Mayan highlands. In total they received $518,370 in donated dental care. Dental clinics take place over the course of six days in a local school or municipal building. Children are brought to the clinic class by class from local schools. Each child receives an exam, cleaning, extractions and restorations as required, sealants and a fluoride treatment. If additional work is needed, children are recalled during the same clinic until dental care is complete. 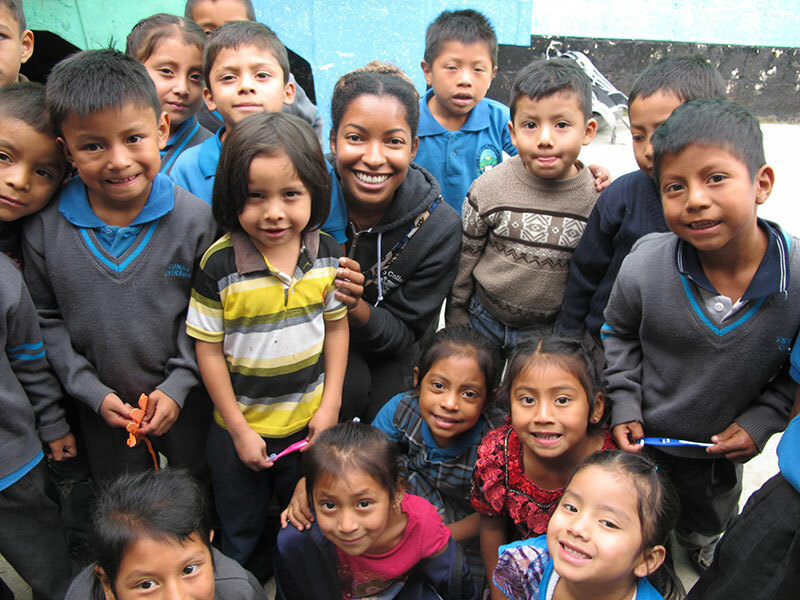 Children also receive a toothbrush, along with brushing instruction and oral hygiene education. Each school population returns every two years to insure children receive long-term follow up care and oral health instruction. In two weeks this July, SmileTree supported clinics were able to serve 1,210 children with 752 fluoride treatments, 1,184 fillings, 73 composites and 212 extractions, the value of care totaled nearly $325,000! While clinic days are long, the smiles of excited children makes for a rewarding experience. SmileTree sponsored the April 2016 Global Dental Relief clinic in Nepal. At this clinic, 15 volunteers including 6 dentists and 3 RDH, brought $182,000 in donated care to 848 local children. Patients visiting the clinic included children from small orphanages and larger charity and government schools. Children from the host school, SMD, served as able and well trained dental assistants to make this clinic possible. SmileTree continues its work in 2016 with additional upcoming clinics in India and Nepal. Our goal, together, is to serve children globally – giving children the gift of a healthy smile and longer, healthier lives. 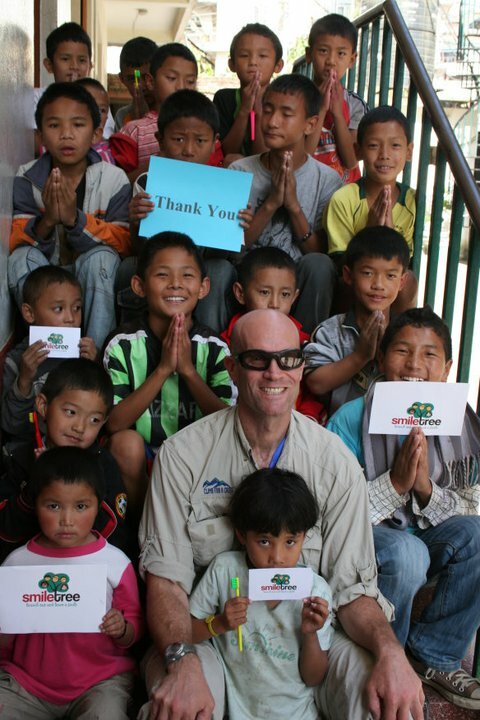 In 2010, SmileTree expanded to support clinics in Kathmandu, Nepal serving charity schools and orphanages that educate children from the vast roadless foothills and mountains of Nepal. An additional clinic is held in Bandipur, a Newari village situated in the foothills of the Annapurna range. 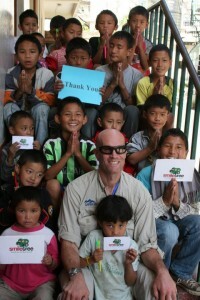 In 2012, 2,039 Nepali children received SmileTree sponsored care. 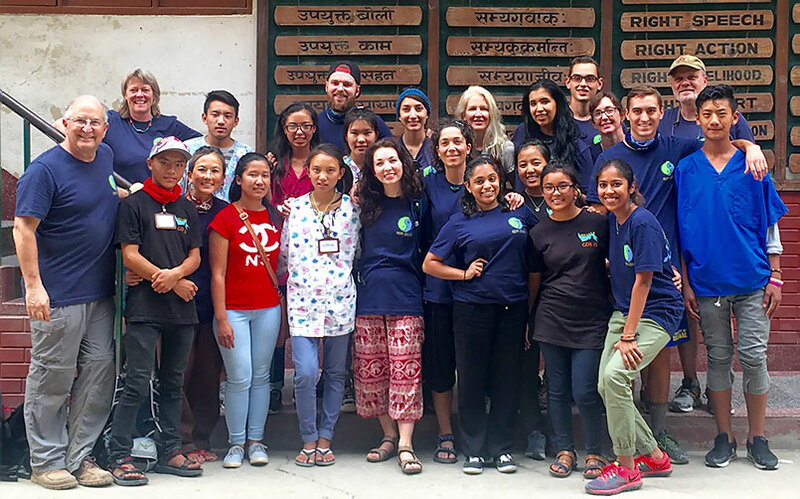 SmileTree™’s Nepal clinics are held in a charity boarding school in Kathmandu, which provides clinic space and eager students to serve as translators, and who assist with overall logistics. As clinics have been operating at this location since 2000, many returning students have “perfect teeth,” and are well versed in oral hygiene. Each clinic provides children with an exam, cleaning, and all necessary care including fillings, extractions, and anterior composite restorations. 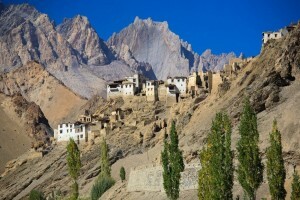 In 2011, the sponsorship grew once again to reach children in northern India. Held high in the foothills of the Himalayas, clinics reached children from remote villages in the Ladakh region at 12,000 feet. During a very full week in 2013, we were able to serve 715 patients for a total value of $170,280. SmileTree ensured delivery of an astounding 455 filings, 189 extractions, 111 cleanings and 261 sealants! Children in Ladakh come from widely diverse backgrounds, but share a lack of access to any type of preventive oral health care. Each child is examined and treated, as necessary, and provided with an oral care kit. Each school population is seen every two years to help ensure continuous education and care. Children in developing countries suffer greatly from lack of access to dental care. The pain that results from tooth decay can create difficulties in school performance and overall development. Left untreated, dental disease can make children vulnerable to a lifetime of systemic illness, from malnutrition and diabetes to heart disease. The Smile Tree’s involvement with the Vietnamese clinics directly addresses the need for dental care in Vietnam by offering modern diagnostic, emergency, corrective, preventive and educational dental services—all for free. The Smile Tree fulfills its mission in Vietnam through three areas of service: a Dental Clinic in Da Nang; a mobile dental trailer that treats children at primary schools in the Da Nang area; and dental outreach trips that are set up at rural primary schools and staffed by dental volunteers from around the world working with on site volunteer dental teams. 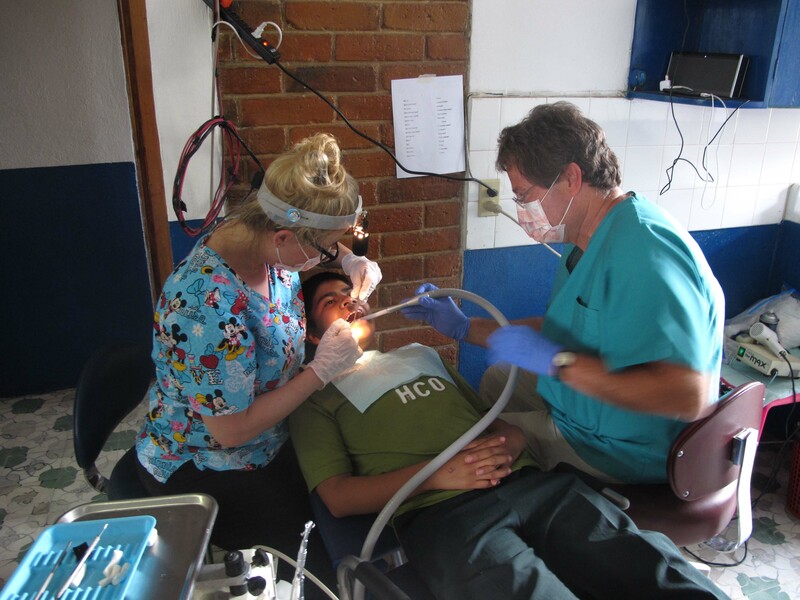 On these trips, dental staff are able to treat at least 100 children in a single day. The program enables the Smile Tree to bring happy, healthy smiles to thousands of children, contributing to their overall health and well-being. Our Vietnamese clininc’s treat over 10,000 disadvantaged children with over 40,000 modern dental services each year while working with over 150 international professional volunteers. This free care has a humanitarian value of over $2 million. Most of this work is done in central Vietnam where there are high population levels of rural people who have no access to dental services. The disadvantaged children range from age 5 to 15 and can be poor, orphaned, physically handicapped, mentally disabled, blind, deaf, street kids or live in isolated hamlets. Our staff work with children’s centers and primary schools and these children have no access to local dental care. Most of them are in pain and have to suffer many years because they have never had any dental treatment. These clinics offer emergency care (extractions) and a full range of corrective and restorative care (exams, X-rays, fillings, stainless steel crowns and root canals), with the biggest emphasis is on prevention of dental disease through the provision of cleanings, scalings, topical Flouride and sealants along with detailed oral hygiene instructions. These children are treated using the highest standards of infection control and patient safety techniques while utilizing the most modern dental equipment and materials available. East Meets West’s Dental staff treats over 10,000 disadvantaged children with over 40,000 modern dental services each year while working with over 150 international professional volunteers. This free care has a humanitarian value of over $2 million. Most of the work is done in central Vietnam where there is a large population of rural people who have no access to dental services. The disadvantaged children range from age 5 to 15 and may be poor, orphaned, physically handicapped, mentally disabled, blind, deaf, street kids or living in isolated hamlets. Our staff dentists work with children’s centers and primary schools to provide dental services for children who have no access to dental care other than from our East Meets West Dental Program. Most of them are in pain and must suffer many years because they have never had any dental treatment. EMW Dental offers emergency care (extractions) and a full range of corrective and restorative care (exams, X-rays, fillings, stainless steel crowns and root canals), but our biggest emphasis is on prevention of dental disease through the provision of cleanings, scalings, topical Flouride and sealants along with detailed oral hygiene instructions. These children are treated using the highest standards of infection control and patient safety techniques while utilizing the most modern dental equipment and materials available. Since 1996, our East Meets West Dental Program has set the standard for public health dentistry in Vietnam. Thuong was born in August 2001 in Group 3, Que Linh Commune, Que Son District, Quang Nam Province. His family is very poor; his mother works as a laborer throughout the year and his father is an alcoholic who does not support the family. Due to this extreme hardship, he was forced to leave his own home early. 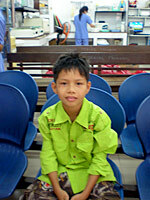 Thuong officially became one of Danang Street Children Center’s children’s group in August 2010. Since then he has been living with Family #1 of DSCC and will be a fifth grade student of Tran Quang Dieu Primary School, Ngu Hanh Son District, Danang for the school year 2011-12. He was given free dental care at the EMW Dental Clinic three times with sixteen dental services so far. These services include one oral exam, one x-ray, three fillings with liner, two fillings with amalgam, two fillings with composite, six sealants and one oral hygiene education workshop. Duong was born on April 9, 2003 in Dalat in the Lam Dong highland province. Duong has had no contact with her birth parents because she was abandoned when she was only a few months old. After being found in Dalat, the local authorities sent her to SOS Village in 2003. She is now living at Lotus Family of SOS Village, Ngu Hanh Son District, Danang City. She is going to be a third grade student of Hermann Gmeiner School (sponsored by SOS Village) in the coming 2011-12 school year. Duong has been taken to the EMW Dental Clinic for periodic dental care since 2005. The EMW Dental trailer was located at SOS Village for over two months in summer 2010 and recently in 2011. Duong has continuously received annual dental care at the EMW Dental mobile trailer. In total, she has received fifty-seven dental services including seven oral exams, four x-rays, one filling with liner, three fillings with GIC, one filling with composite, seven fillings with fuji, sixteen sealants, seven fluoride treatments, six prophies and five oral hygiene education lessons. Doan was born on June 27, 1995 in Tam Anh Commune, Nui Thanh District, Quang Nam Province. 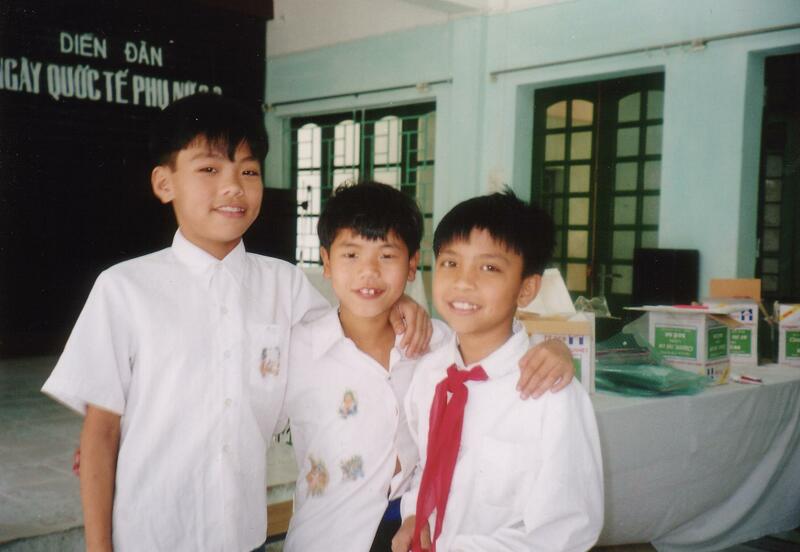 Lap had a peaceful childhood with his parents, one older sister and one older brother. Unfortunately, his parents died in a disastrous flood that hit his hometown in 1999. In June 2000, shortly after the natural disaster, Lap and his brother and sister became orphans residing at Lotus Family of SOS Village. He is now living at the dormitory #5 of SOS Village and starting as an eleventh grade student of Hermann Gmeiner School, Ngu Hanh Son District, Danang. As with many other orphans living at the SOS Village, Lap has been sent to the dental clinic for periodic dental care every summer holiday. So far, he has been given a total of ninety-one dental services including eleven oral exams, six x-rays, two fillings with composite, three fillings with amalgam, thirty-eight sealants, seven fluoride treatments, eight scalings, eight prophies, three extractions, two medications and three oral hygiene education workshops.